CIty of Greenville's 2017 " Volunteer Group of the Year"
Vocal Matrix is honored to be named recipient of the 2017 City of Greenville Group Volunteer Award. Vocal Matrix Chorus members, spouses and friends volunteer over 300 hours for Artisphere and over 600 hours for Fall For Greenville, two of the area's largest events in downtown Greenville. 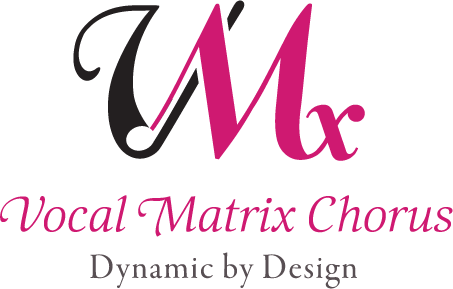 Giving back to the community is one of passions of Vocal Matrix Chorus. Read more about CIty of Greenville's 2017 " Volunteer Group of the Year"
Earlier this month the Upstate International Women's Group hosted a singing workshop with a delegation of the Vocal Matrix Chorus.The singers entertained the group with a repertoire of their songs and they taught the audience how to sing all the different tunes in a song - barbershop style - from the very high to the very low notes! In the end, everyone joined in joyful harmony! We had a great time this weekend singing the #nationalanthem at Saturday's @greenvilledrive baseball game! Thanks for inviting us! We are so so proud of our director, the fabulous Nancy Field!! Truly a well-deserved honor. We are so lucky to have her teach us and lead us every week! Read more about So proud of our awesome member Kayleigh Bray Kivett! !